The Marathon, run every year in Boston Massachusetts, is one of the oldest races in the United States. 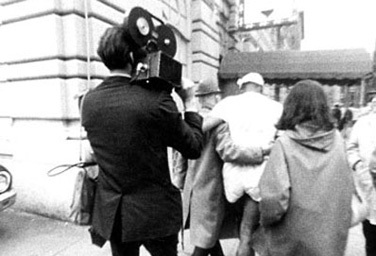 In 1964 the documentary film class taught by Robert Gardner undertook to make a film about the race as a cultural institution. The race in this film is a physical and emotional test or ordeal for certain participants including the author of Love Story who at the time was a young instructor in Classics at Harvard. It is an early example of the use of Cinema Verite filmmaking.